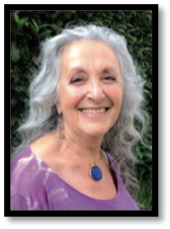 Facilitated by Damanhur guide Shama Viola, this class will be traced down beforehand by members of The Way Of The Oracle at Damanhur, Italy, based on each participant’s biographical data and photos. Shama will then use powerful interactive processes and activities to facilitate the reawakening of emotions and memories of your prior life. Each participant receives the Oracle’s written description of the past life accessed in this workshop at the end of the course. Photograph & Bio-Data Required in Advance by October 12th: Specific information is required–a recent photo that serves as a portrait and clearly shows your eyes; also your birthdate, place of birth and name as it appears on your birth certificate. And if you have taken this course before, please state which past life you are on (your 2nd, 3rd, etc.). This info must be submitted by the cutoff date above. Please email your photo and information to Jennifer Evanko at jcevanko@mac.com.